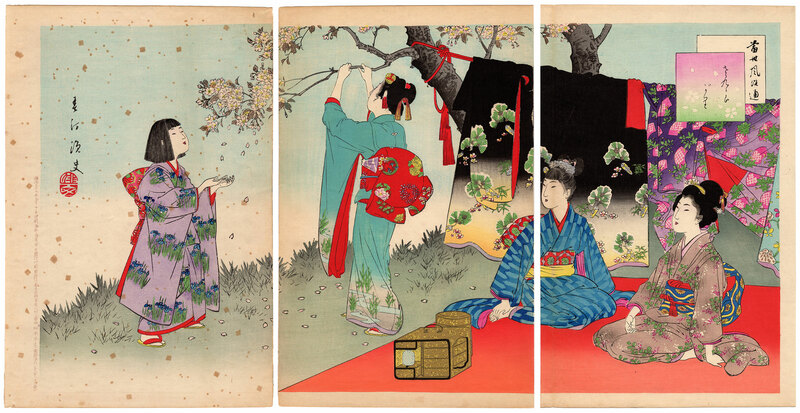 Very refined triptych of woodblock prints made in 1897 by the artist Miyagawa Shuntei (宮川春汀) and depicting an elegant group of four female figures, two women, a young girl and a child, who takes advantage of a beautiful spring day to air some kimono (着物) during the cherry tree blossoms. The work, edited by the publisher Fukuda Hatsujiro (福田初次郎), owner of Gusokuya (具足屋), is entitled "The Hunt for Cherry Blossoms" (さくらがり) and is taken from the series "Today's Elegant Manners and Customs" (當世風俗通). 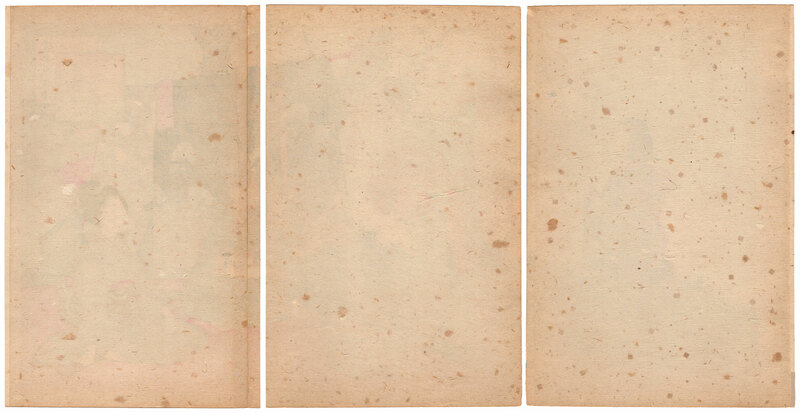 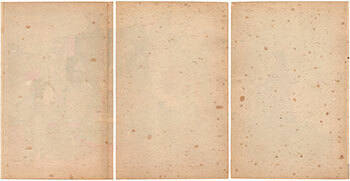 The woodcuts, despite the showy spots visible on the left panel, are in good general condition, thanks also to a relining carried out on the back with a second sheet of Japanese washi paper (和紙).